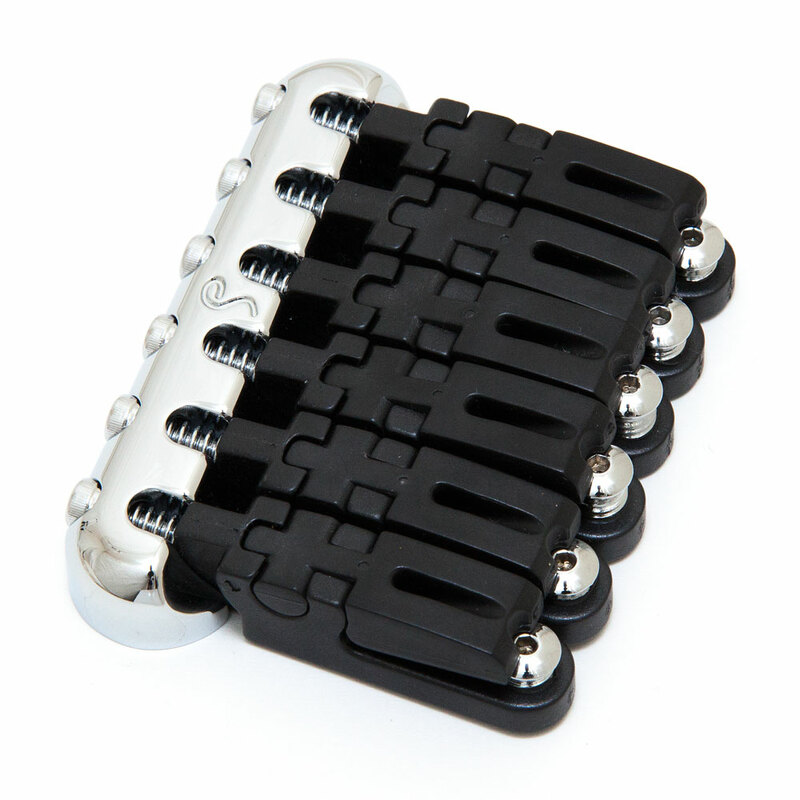 The Schaller Hannes is a stunning, supremely comfortable and a revolution in guitar bridge design. The patented saddle material was developed by Graph Tech and is impregnated with Teflon for permanent lubrication so strings don't bind in their slots during bending or tremolo use, improving tuning stability, the material increases sustain by up to 25% compared to brass and steel and because sharp edges cannot form due to wear in metal plating the saddles reduce string breakage at the bridge. The saddles are individually intonatable and height adjustable but all adjustment screws are kept away from the hand, making it one of the most comfortable bridges available. The saddles have a large surface area connected to the front of the guitar body and are isolated from one another, the brass intonation block is held tightly to the body with machine screws from the rear of the guitar and the strings mount through the body from the rear, this all combines to ensure maximum sound transmission to the guitar body. There is a 4° angle built in to the bridge so that the low E saddle naturally sits further back than the high e to aid intonation. There is a string mounting plate for the rear of the guitar to allow all strings to be grounded.